During the 1890s, a transplanted Chinese entrepreneur arrived in the Javanese city of Yogyakarta to establish himself within the region’s prosperous spice trade. His name was Kwik Djoen Eng, and he would rise in prominence as “The Java Sugar King.” Kiwk Djoen Eng specifically started shipping sugar from Yogyakarta through a company he founded with his brother, called the NV Kwik Hoo Tong Handel Maatschappij. His business endeavor became so successful that Kiwk Djoen Eng began opening additional brands throughout Java. By the beginning of the 1930s, Kiwk Djoen Eng had emerged as one of Southeast Asia’s most prominent businesspeople. 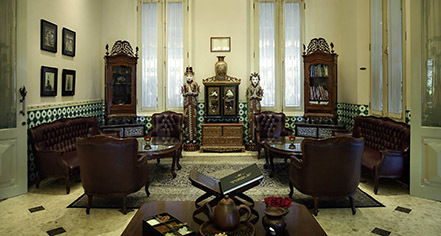 The Hotel Splendid remained in operation up until the early 1940s, when the Japanese occupied Java during World War II. Renamed as the “Hotel Yamato,” the Japanese Imperial Army used the building as the site for their headquarters in Yogyakarta. But with Japan’s defeat at the hands of the Allies, Liem Djoen Hwat reacquired his beautiful building. He eventually reopened it as the “Hotel Merdeka” in 1951 to great acclaim. For the next 36 years, the Hotel Merdeka built a storied reputation for its amazing hospitality. The hotel soon became a desirable holiday destination for many traveling politicians and international celebrities. It even became the home for the illustrious President of Indonesia, Sukarno! Due to its great historical significance, the Indonesian Ministry of Education and Culture designated the hotel as a national historical landmark in 1996. Sofitel now owns this fabulous gem, which it acquired in 2009. Since then, Sofitel has proudly managed the building as the renowned Phoenix Hotel Yogyakarta. 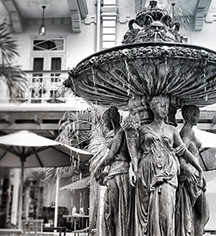 The Phoenix Hotel Yogyakarta - MGallery by Sofitel, a member of Historic Hotels Worldwide since 2018, dates back to 1918.